This online tool to create lithophanes will accept an image and convert to an .stl file for 3D printing. Basically, the brightness of each pixel will be converted to a height value in a 3D model. The tool has plenty of options for you to explore, but you can get useful results with the defaults. You can get even better results with a bit of work up-front. Look good when converted to greyscale. 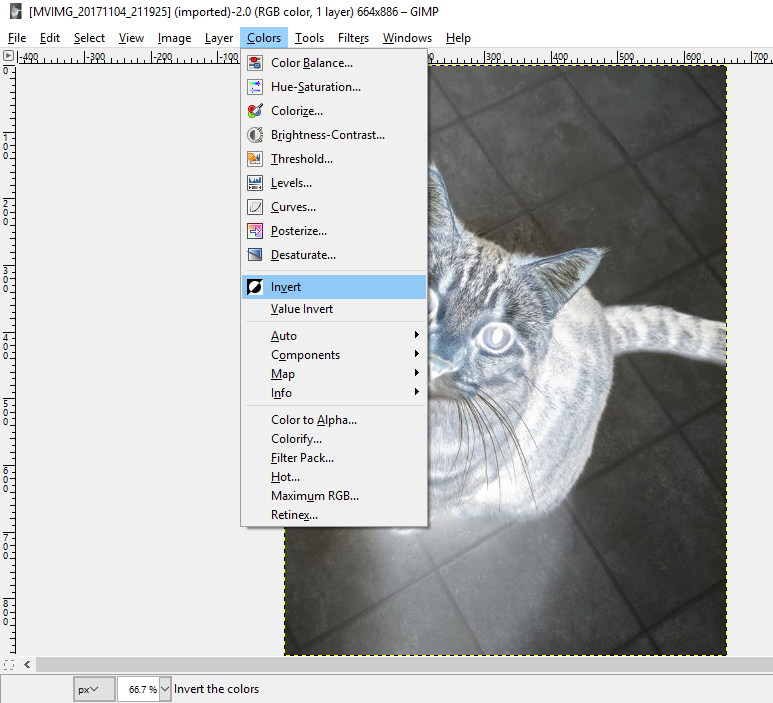 Convert to Negative before processing. In GIMP, convert an image to greyscale with the Desaturate tool. It's up to you whether to do it yourself, or whether to do it in the tool. I prefer to do it myself so that the conversion is more "what you see is what you get". 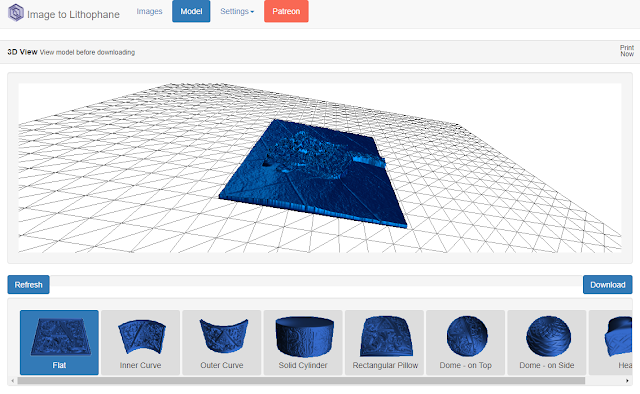 Visually inspect the 3D model that the tool generated. Compare with your source image to confirm that THICK parts of the model are the DARK areas of the photo, and the THIN parts of the model are the LIGHT areas of the photo. It can be a bit hard to judge at a glance when looking at the model because it's a weird-looking height map, but being sure before you start printing will save a lot of trouble. 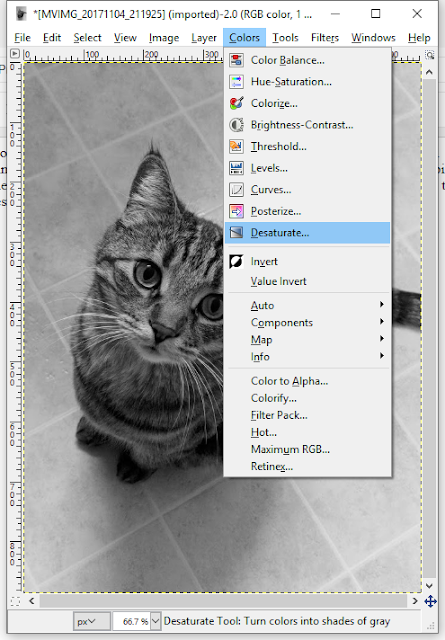 Print the lithophane in a vertical orientation (i.e. standing straight up and down, not laying flat.) Choose the widest side of the model as the base, and it might be useful to print it with a brim for good adhesion. 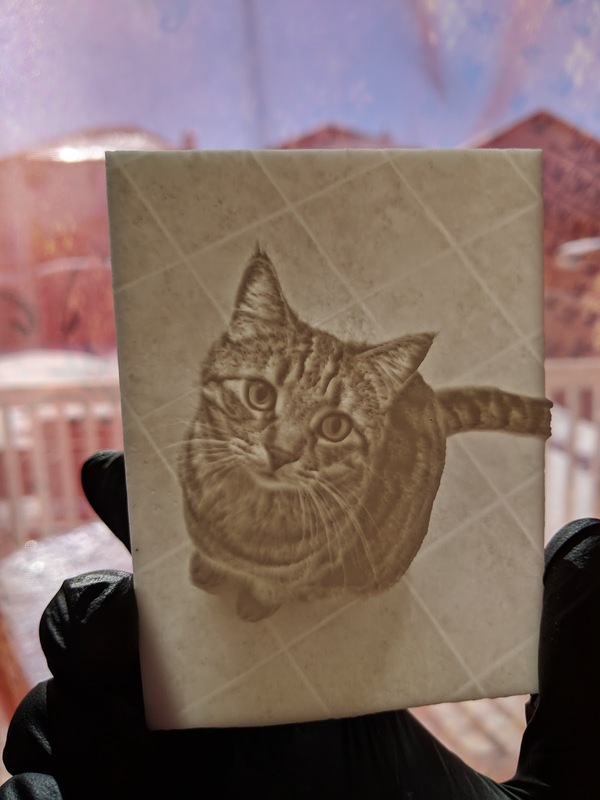 I printed the lithophane shown here on my Formlabs Form 2 printer in White resin. For SLA it was also printed in a vertical orientation, attached directly to the build plate. I chose the widest edge as the base. I printed at 0.1 mm layers, but if I were to do it again I'd try at a higher resolution. It printed fine but a thinner layer height would have made some of the sharp angles a little less aggressive and would (in theory) improve overall reliability. 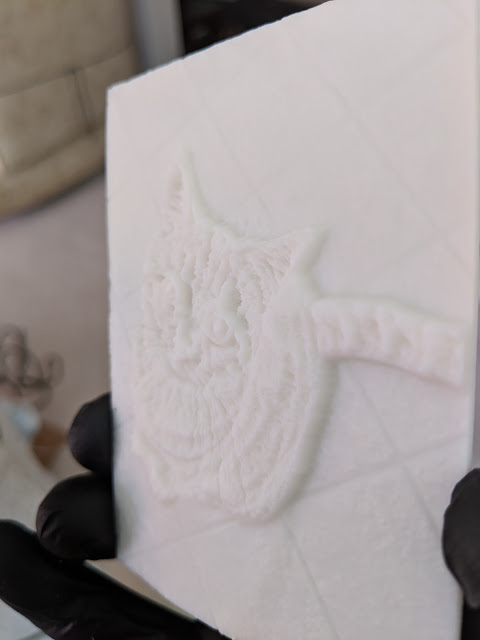 Here is the 3D printed plate, and the results when lit from behind. My first attempt wasn't best, but after following the steps I listed here the results were spectacular. Give it a try, and use the resulting plates to make a lampshade or window ornament. Art is fun!